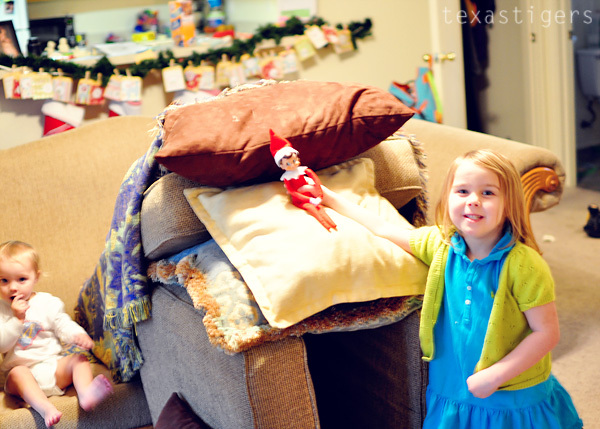 The 'tree' Rudolph made might be the kids favorite thing the elf has done at our house yet. They loved it! 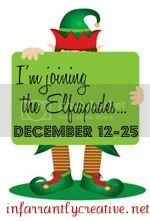 Now what did our silly elf do today? Abby I also saw what a good helper you were with making the play dough and the meatballs - I bet that was fun to help cook things in the kitchen! 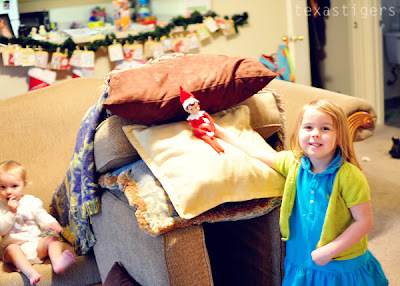 Ya’ll also looked like you had a lot of fun making the bed of pillows and jumping on them! The wise men kept following the star and at last they stopped over Bethlehem. The wise men found Mary, Joseph, and baby Jesus. They knelt down in front of Jesus and gave him presents that they had brought him. I wanted to build something that I could sleep in so I made my own house. Where do you think I am?